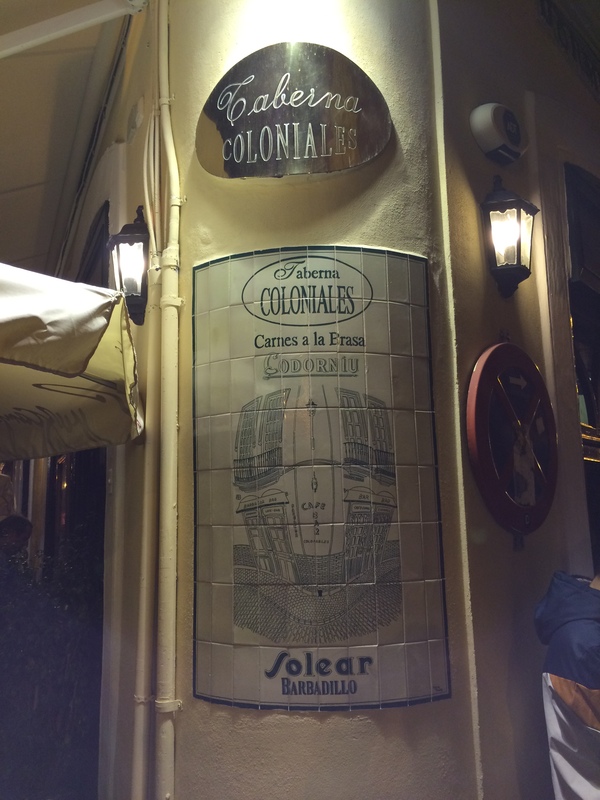 Exploring Sevilla (Seville) is an experience of one discovery after another. This is our first trip here, and we are in a rented apartment near the center of town for 3 1/2 weeks. Preparations are underway for Holy Week (LINK), which is a huge deal here, with between 1 and 2 million people coming to the city for over 50 processions and other festivities. It is the biggest week of the Sevilla calendar. 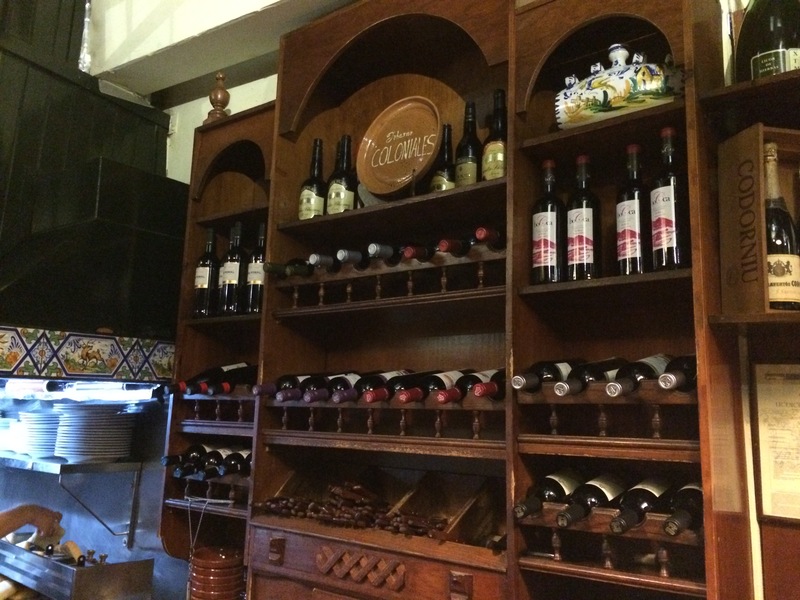 Sevilla is also the home of tapas, the concept of a variety of dishes served on small plates. Tapas used to be either a snack between lunch (served here between 1pm and 4pm and dinner (served between 9pm and 11:30pm), or to accompany a larger meal. 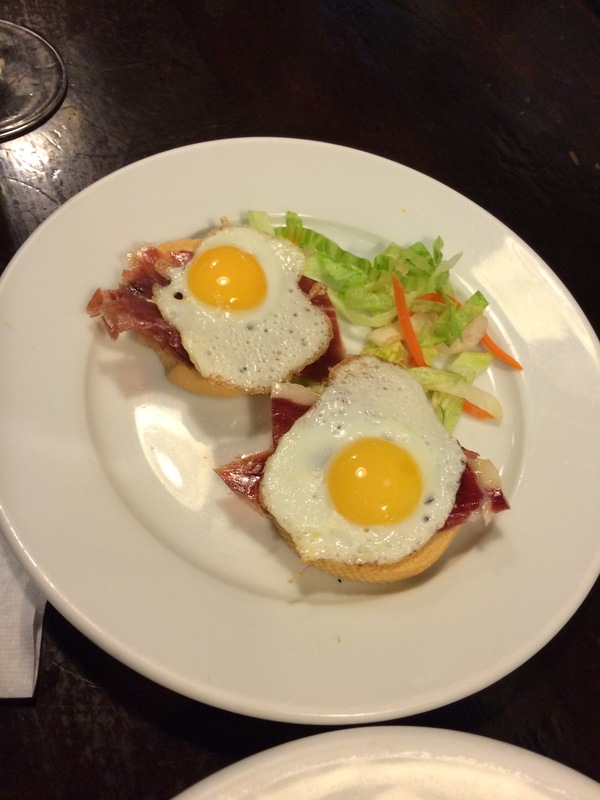 Today, especially after the economic recession here, tapas have become lunch through dinner for most people. Plates of tapas, usually one or two pieces of something, a plate of olives or a salad, cost between 1.5 and 3.5 euros. Larger servings, media or plata cost more (think bread plate/salad plate/dinner plate). 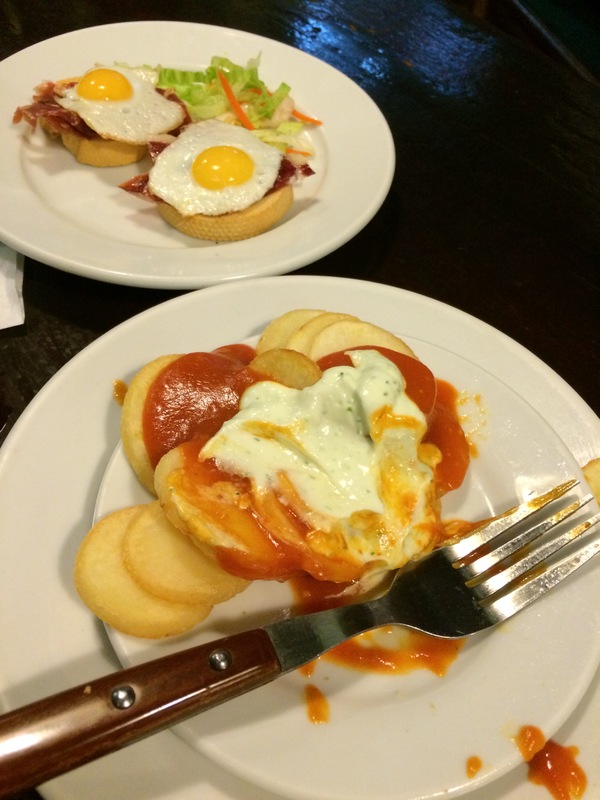 There are hundreds of tapas places in Sevilla. We happen to be staying within a block of a very good one, and we have been there twice so far. 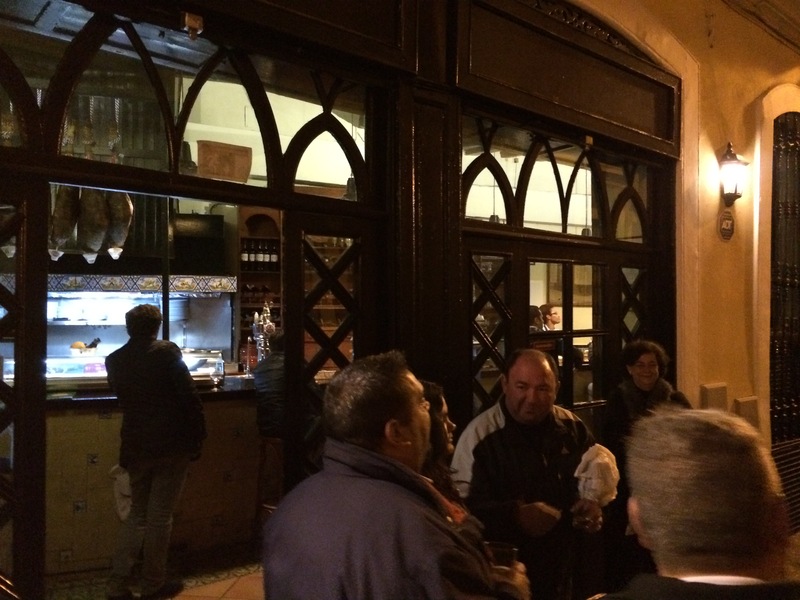 The place is Taverna Coloniales (LINK) at the Plaza del Christo de Burgos. 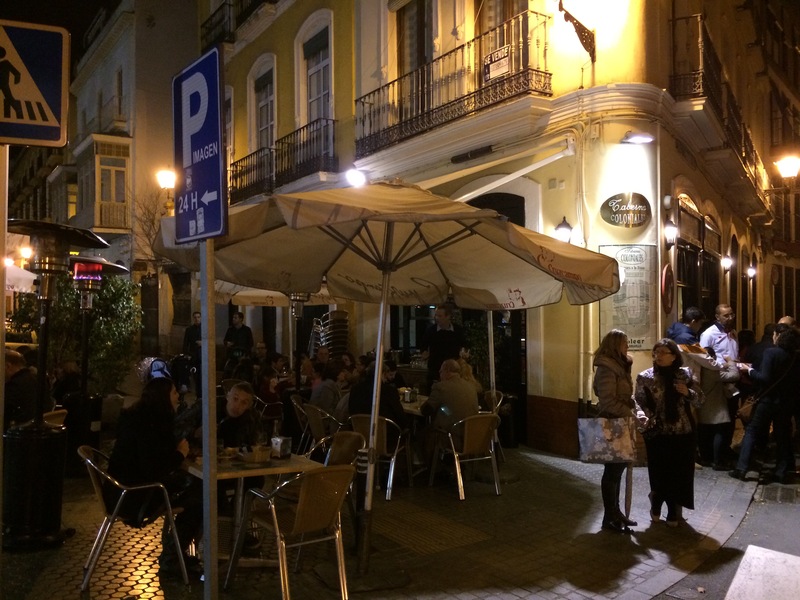 Here, on a corner, dozens of people gather from afternoon through late at night to sample an amazing array of tapa, wine, and beer. Dorianne and I have found that three or four tapas plates are sufficient for a meal. 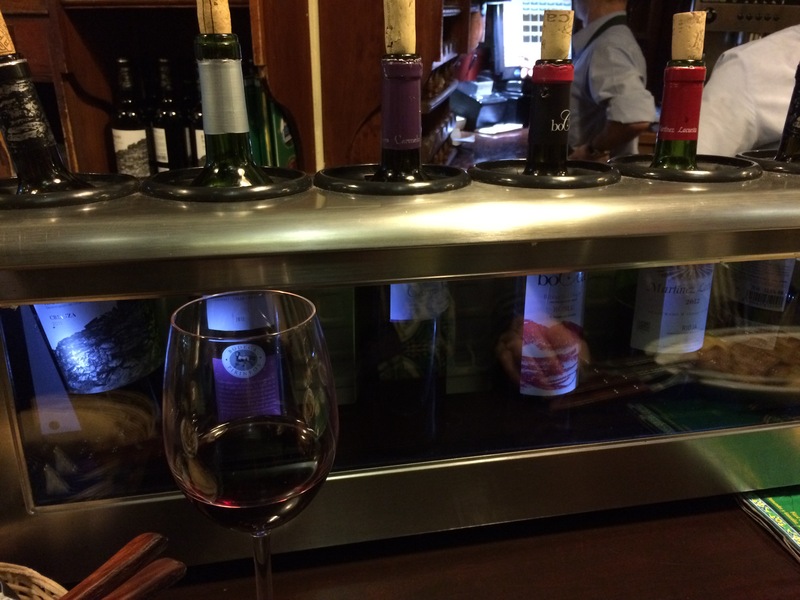 Add two or three glasses of wine each, and our bill comes to about 18 euros, or $20. It is cheaper than eating in our apartment. 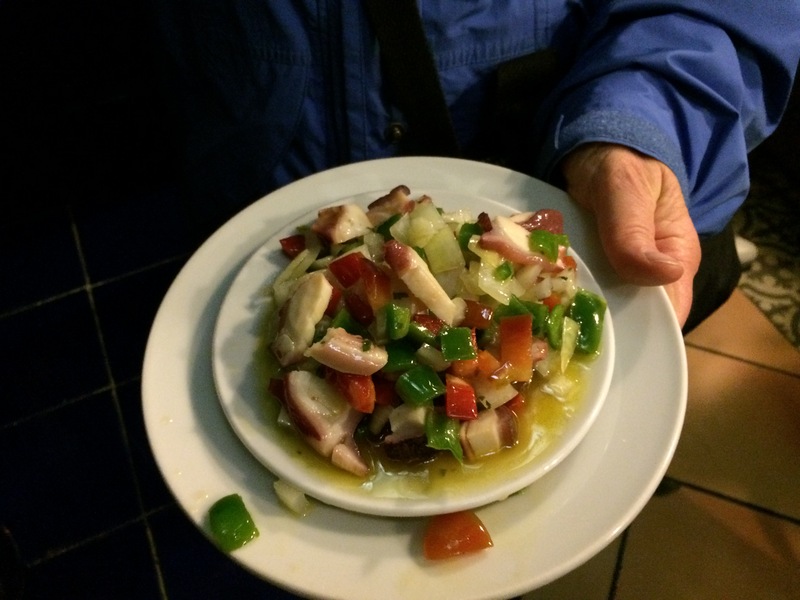 The Taberna is staffed by six people, four at the bar, one in the back room where there are about 6 tables, and one out front where the sidewalk cafe can seat around 30. The place is often packed, but the staff is excellent at knowing who needs what and when they need it, and they remember what you ordered when it comes time to pay. They remind me of the countless counter people who work in places in Manhattan, giving excellent service to large numbers of people. Part of what we in the US would call a “chain,” there are several establishments owned by the same people in the area. 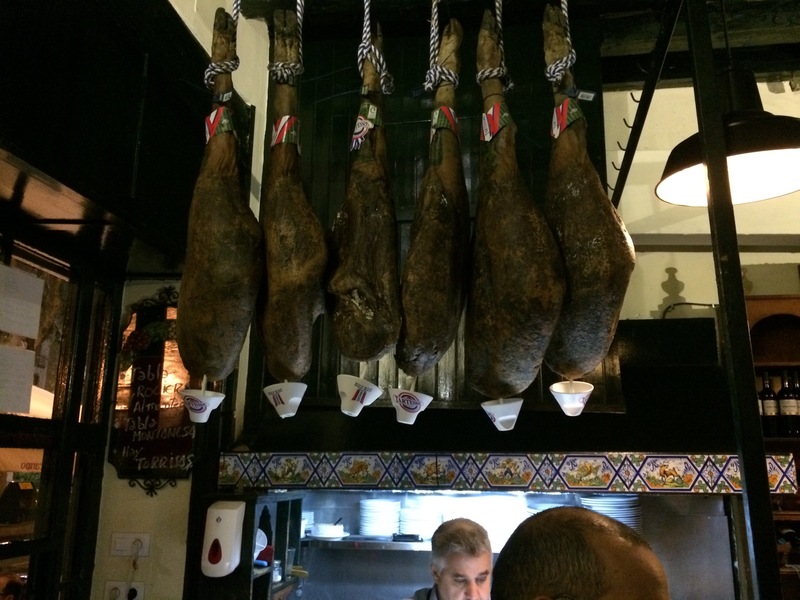 Last night, we had the tapa pictured above with a Tinto (red) wine from Rioja a 2011 Finca 10 Crianza (LINK – translation needed). The wine is, of course, Tempranillo. The term Crianza means that the wine has been aged for a shorter time (24 months with 6 months in barrel) than a Reserva (36 months with 12 months in barrel) or a Gran Reserva (60 months with 18 months in barrel). The wine was fruity, with a pleasant nose and a hint of minerality on the tongue; a bit bitter, with medium tannins and acidity. 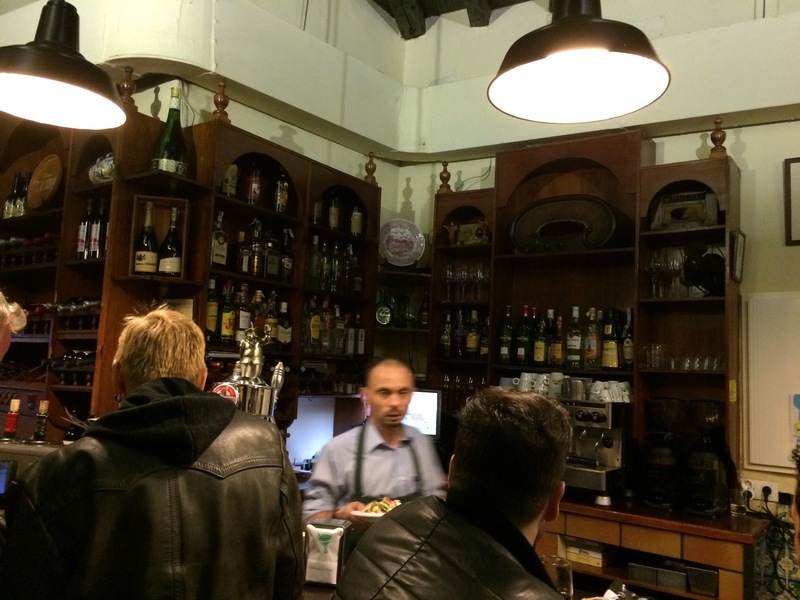 At under 2 euros a glass, it was hard to complain, so we did not. 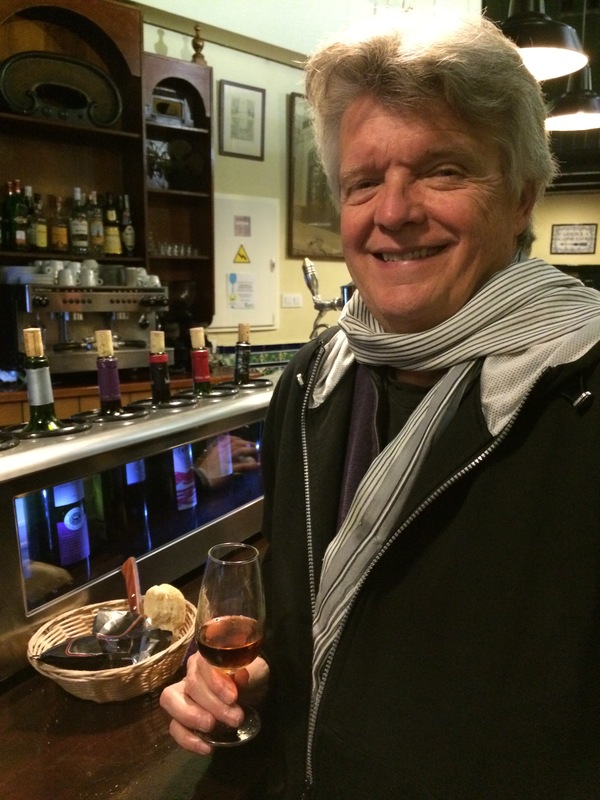 After our meal, I ordered a glass of Sherry, a Canasta Cream Sherry (LINK) from Jerez (LINK), the premier Sherry region about an hour south of Sevilla. Also under 2 euros a glass, this wine reminds me of a California Port – rich and smooth with a very nice finish. 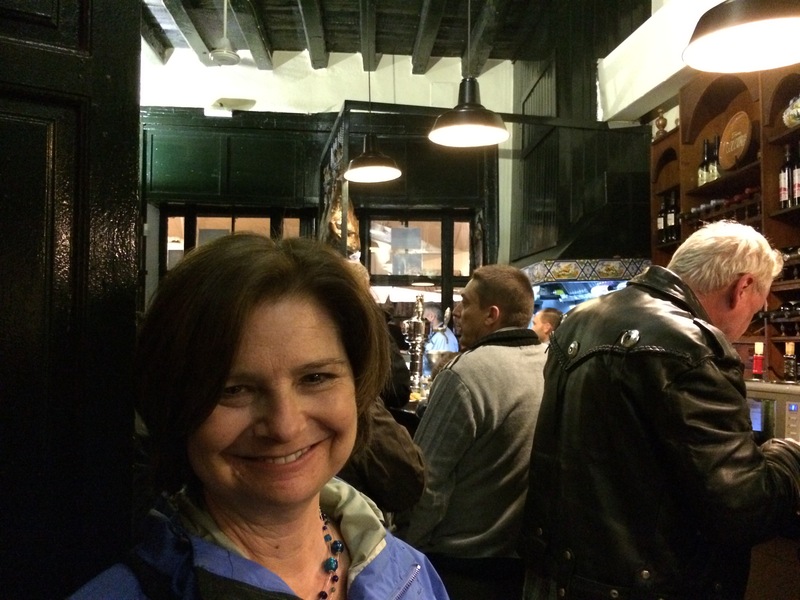 That’s me above, with the glass of Sherry.